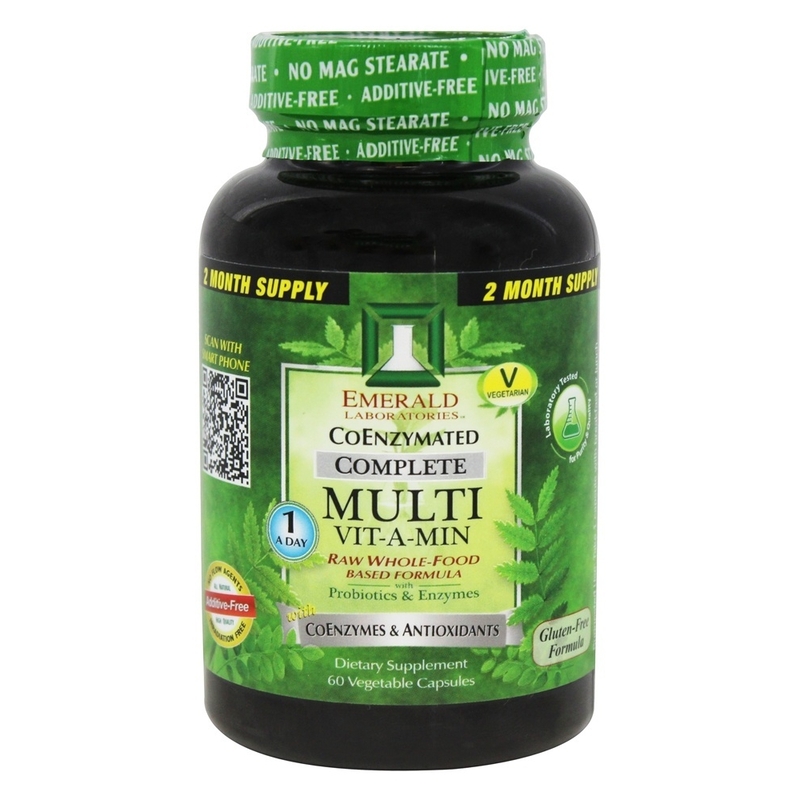 Emerald Labs Complete Multi Vit-A-Min is a convenient one-a-day formula with a complete range of vitamins, minerals, antioxidants, coenzymes, and coenzyme folic acid. Recent research has shown that approximately one in seven people cannot metabolize folic acid unless it is in its coenzyme form. 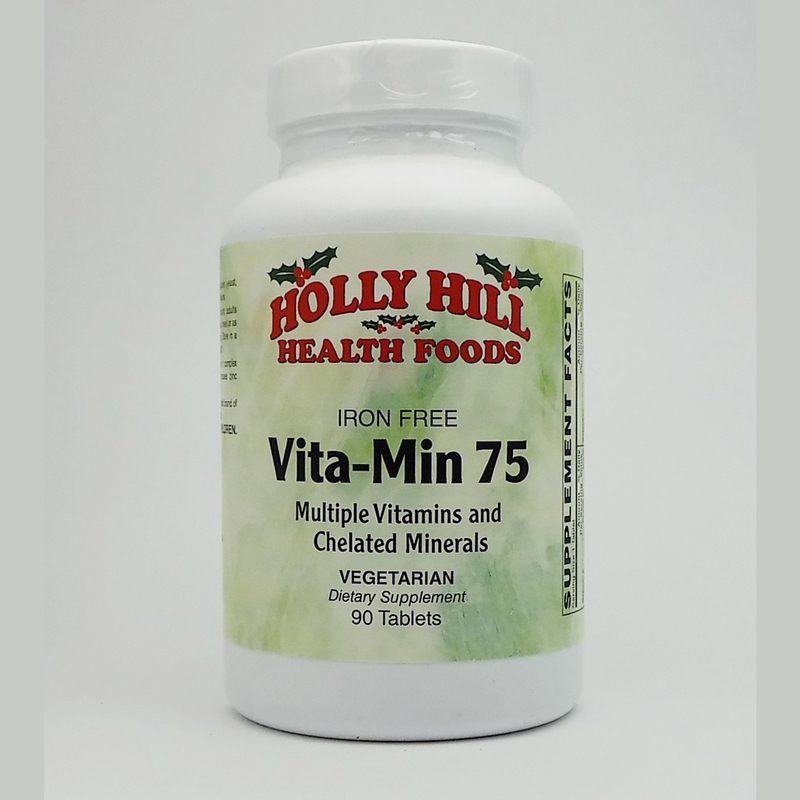 Complete Multi Vit-A-Min is additive free, with no magnesium stearate in its vegetarian formula. 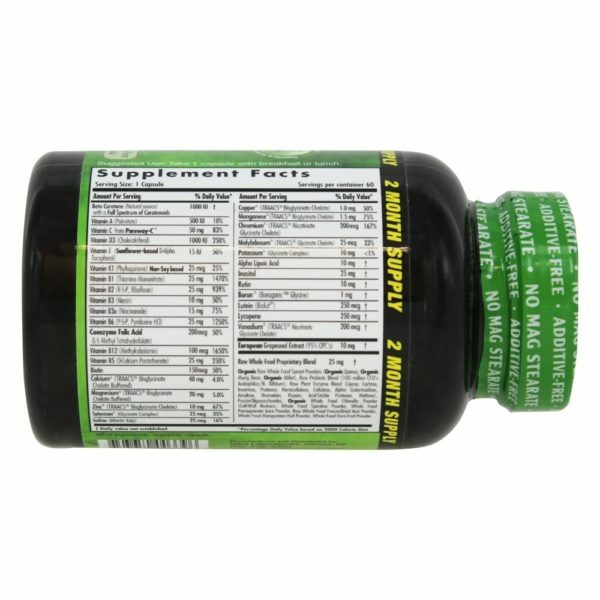 Emerald Labs Complete Multi Vit-A-Min is a convenient one-a-day formula with a complete range of vitamins, minerals, antioxidants, coenzymes, and coenzyme folic acid. Recent research has shown that approximately one in seven people cannot metabolize folic acid unless it is in its coenzyme form. 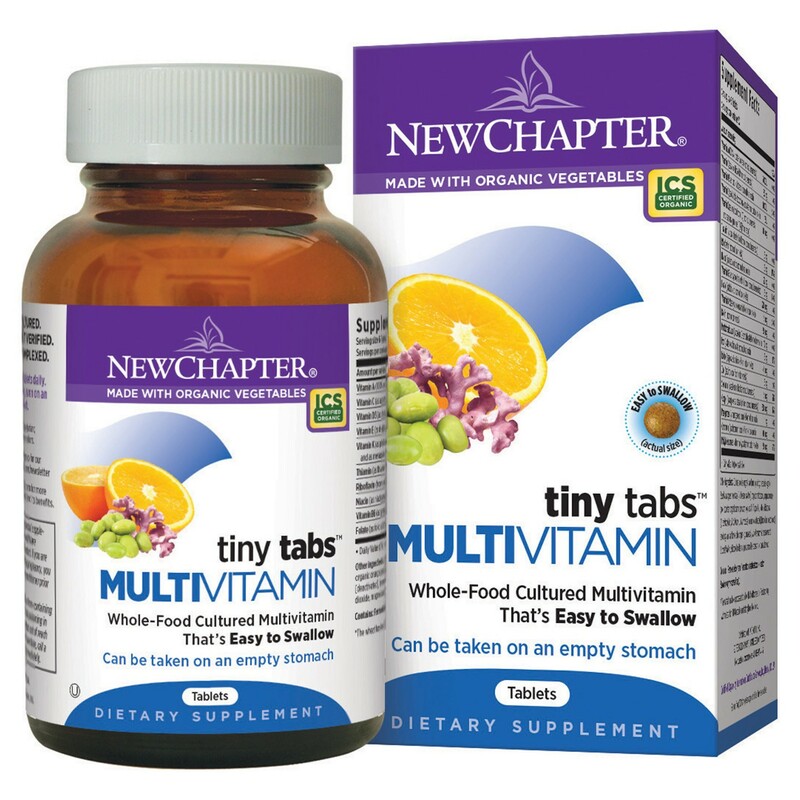 Complete Multi Vit-A-Min is additive free, with no magnesium stearate in its vegetarian formula. Beta-Carotene (Natural Source) with a Full Spectrum of Cartenoids, Vitamin A (Palmitate), Vitamin C (from Pureway-C), Vitamin D3 (Cholecalciferol), Vitamin E (Sunflower-based D-Alpha Tocopherol), Vitamin K1 (Phylloquinone) Non-Soy based, Vitamin B1 (Thiamine Mononitrate), Vitamin B2 (r-5-P, Riboflavin), Vitamin B3 (Niacin), Vitamin B3a (Niacinamide), Vitamin B6 (P-5-P, Pyridoxine HCL), Coenzyme Folic Acid (L-5 Methyl Tetrahydrofolate), Vitamin B12 (Methylcobalamin), Vitamin B5 (D-Calcium Pantothenate), Biotin, Calcium (TRAACS Bisglycinate Chelate Buffered), Magnesium (TRAACS Bisglycinate Chelate Buffered), Zinc (TRAACS Bisglycinate Chelate), Selenium (Glycinate Complex), Iodine (Atlantic Kelp), Copper (TRAACS Bisglycinate Chelate), Manganese (TRAACS Bisglycinate Chelate), Chromium (TRAACS Nicotinate Glycinate Chelate), Molybdenum (TRAACS Glycinate CHelate), Potassium (Glycinate Complex), Alpha Lipoic Acid, Inositol, Rutin, Boron (Boroganic Glycine), Lutein (Biolut), Lycopene, Vanadium (TRAACS Nicotinate Glycinate Chelate), European Grapseed Extract (OPC's). Raw Whole Food Proprietary Blend: Organic Raw Whole Food Sprout Powders (Organic Quinoa, Organic Mung Bean, Organic Millet), Raw Probiotic Blend (100 million CFU's Acidophilus/B. Bifidum), Raw Plant Enzyme Blend (Lipase, Lactase, Invertase, Protease, Hemicellulase, Cellulase, Alpha- Galactosidase, Amylase, Bromelain, Papain, Acid-Stable Protease, Maltase), Fructo-Oligosaccharides, Organic Whole Food Chlorella Powder (Cell Wall Broken), Whole Food Spirulina Powder, Whole Food Pomegranate Juice Powder, Raw Whole Food Freeze-Dried Acai Powder, Whole Food Magnesium Hull Powder, Whole Food Noni Fruit Powder. Other Ingredients: Vegetable Capsule. Take one (1) capsule with breakfast or lunch. Keep Out of Reach of Children. Do not use if safety seal on cap or printed inner seal is missing or broken. Not recommended for pregnant or lactating women. If currently using prescription medicine or you have a medical condition, consult your Doctor prior to use. Store in a Cool, Dry Place. Organic Raw Whole Food Sprout Powders (Organic Quinoa, Organic Mung Bean, Organic Millet), Raw Probiotic Blend (100 million CFU's Acidophilus/B. Bifidum), Raw Plant Enzyme Blend (Lipase, Lactase, Invertase, Protease, Hemicellulase, Cellulase, Alpha- Galactosidase, Amylase, Bromelain, Papain, Acid-Stable Protease, Maltase), Fructo-Oligosaccharides, Organic Whole Food Chlorella Powder (Cell Wall Broken), Whole Food Spirulina Powder, Whole Food Pomegranate Juice Powder, Raw Whole Food Freeze-Dried Acai Powder, Whole Food Magnesium Hull Powder, Whole Food Noni Fruit Powder.